The Momin Group at Jebel Ali Free Zone (Jafza) has opened a new manufacturing unit with a built-up area of over 10,000 sq m for production of vegetable ghee, soft oils such as corn, canola and sunflower and processing of soya bean oil for the petrochemicals sector. The Momin Group has a diverse range of products from edible oil, industrial fats and lubricants to electronics, blades and sugar. 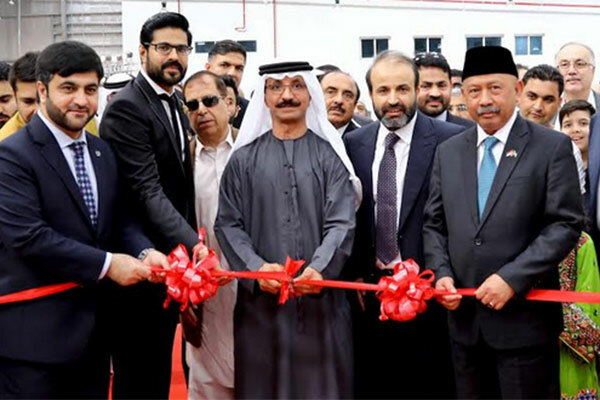 DP World Group chairman and CEO Sultan Ahmed Bin Sulayem inaugurated the facility. The ceremony was attended by Mohammed Al Muallem, CEO and managing director, DP World, UAE Region, Ebtesam Al Kaabi, head of Sales, Jafza, Abdul Wahid, CEO, Momin Group and senior officials. "We are proud to continue our relationship with DP World,” said Wahid. “Jafza has provided an ideal business environment linking us to international markets and customers around the world. Our new factory has the most modern equipment and we are ready to meet the demands of the market now better than ever."